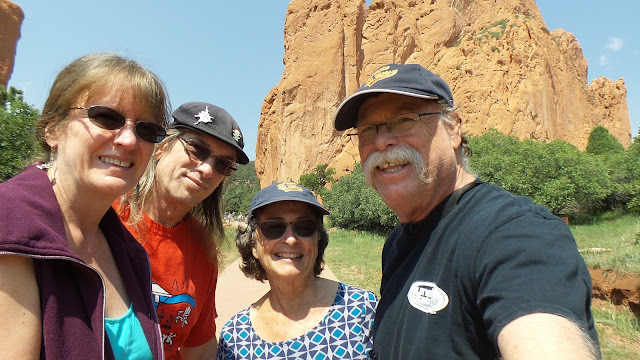 Our next stop after Denver was to visit our friends Larry and Melissa who were staying in the Colorado Springs area. They are a very talented musical duo who put together an impressive, amd emtertaining show. We met them when they performed their One More Time musical show for a Gypsy Journal rally back in 2012, and we've stayed in touch and met up in a variety of locations all over the country! That's how it is with RVers. You make friends all over the place and those friends keep moving to even more places. Pretty soon you can't go anywhere that you don't have friends! Since both of us are working on the road, we don't usually have any more than one dinner together before moving on, but this time we arranged a whole 2 days! We were able to park right next to them and then we took off on a walk - you never know the kind of forest creatures you'll run into. 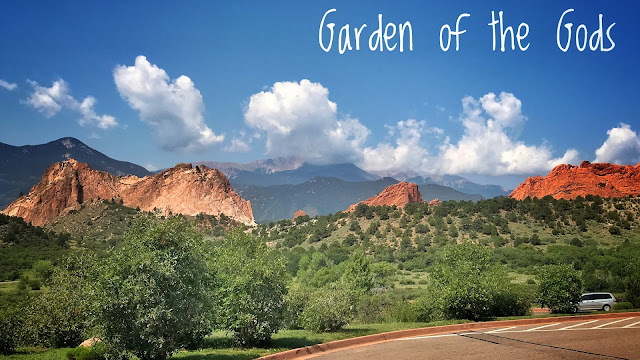 The next day we took off for Garden of the Gods - it's a free city park in Colorado Springs that is impressive enough to be a National Park! What a great time, with good friends. First we found a hot springs that was highlighted in our Roadtrippers app. 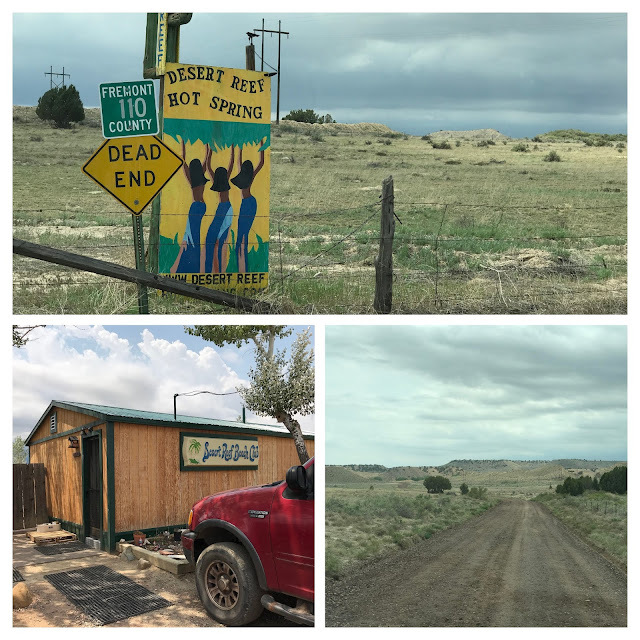 Called Desert Reef - it was a bit in the boonies. We probably would not have ventured down this road in our Big Boy RV, but Little Boy had no problem. I can't show you photos of the actual hot springs because you'd see naked people. 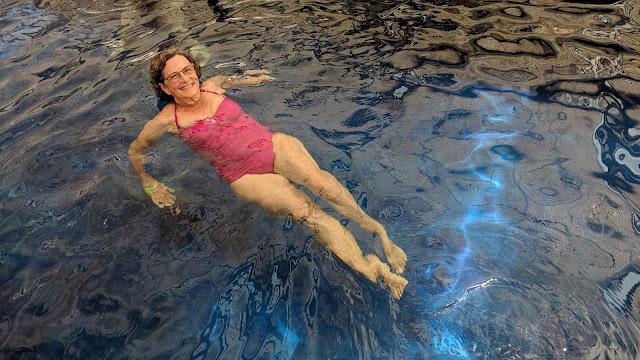 We like it that way - it's always seemed nonsensical to have any kind of clothes on when you get into water - especially hot water. There wasn't any camping here though, so after a relaxing soak, we mosied on. We needed some groceries anyway, and our Allstays app showed that there was a Walmart in Canon City where we could park for the night. I actually really like Walmart nights. I know that we're allowed to park there so I rest comfortably, there's lights and security, and if there's anything I need the store is right there and probably open all night ... just in case! This one was particularly nice. Another RV that was parked there was very old and had lots of writing on the back of it. 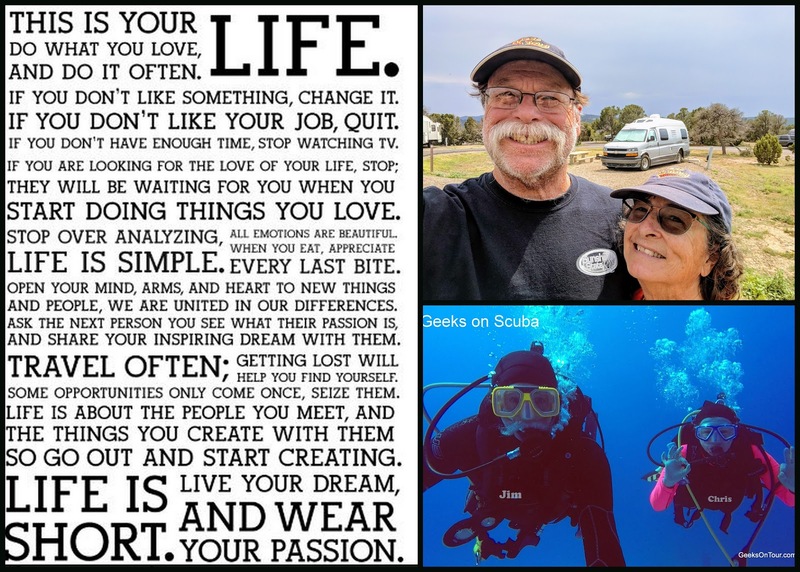 Jim took a photo, I found the quote on a website - Live your dream and wear your passion. I think Jim and I do that so well, I just had to grab it for ourselves! ... and add a couple of photos of course. We woke up after a peaceful night's sleep at Walmart and started to get on the road. Where are we going to go today? I look at Roadtrippers and realize that Royal Gorge is right up ahead. Ok, sounds good. An hour later we were there. What an amazing place! This is the kind of destination that people have on their lifelong bucket lists, and we just happened to be passing by! Ok, what was that place that Larry told us about? ... Hooper ... Ok, let's go there. Well - it's near Hooper. Actually the campground is called Sand Dunes Swimming Pool and RV Park. What a find! RV park, hot springs, restaurant, bar ... AND good Verizon Internet! We stayed there 5 whole nights! This is the area called the GreenHouse - because, well, it was a greenhouse. They converted it to hot springs pools a few years back. There were 5 pools as I recall, this big long one was warm at 97-98 degrees, then there was a 102 and a 106. There was even one pool at 110 degrees! I've never been in that hot a water - but I liked it! For about 5 minutes. Yes, we did have to be clothed here. Well, can't have everything. They had beer! Really good beer too - something called Claymore Scotch Ale. We may just have found our new favorite RV park! 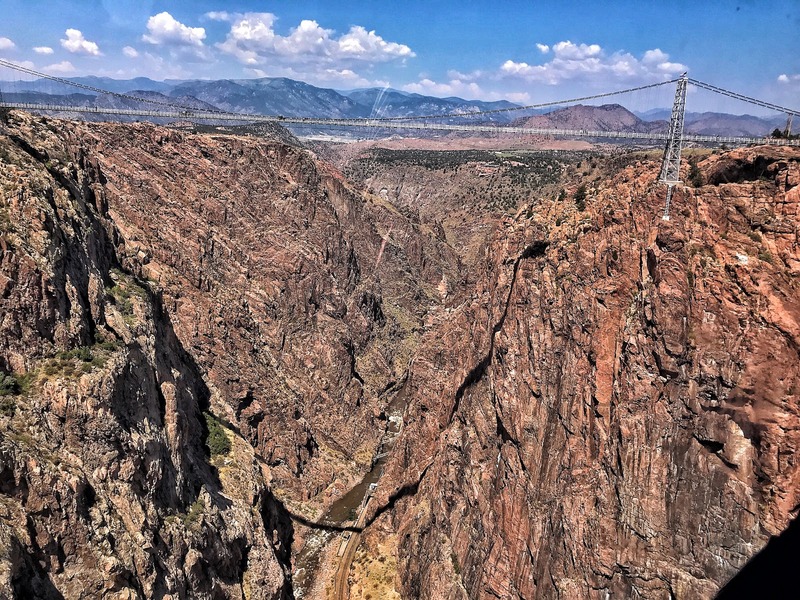 Colorado again! The big pool outside was very crowded with families in the area - how fun! Even 2 dive boards. Very comfortable at about 97 degrees. There are only 10 electric hookup sites here though. We arrived on a Thursday and there were several available. But all were full for the weekend, so we had to move to the dry camping area. Still, we felt confident enough to do our Sunday "What Does This Button Do?" show. 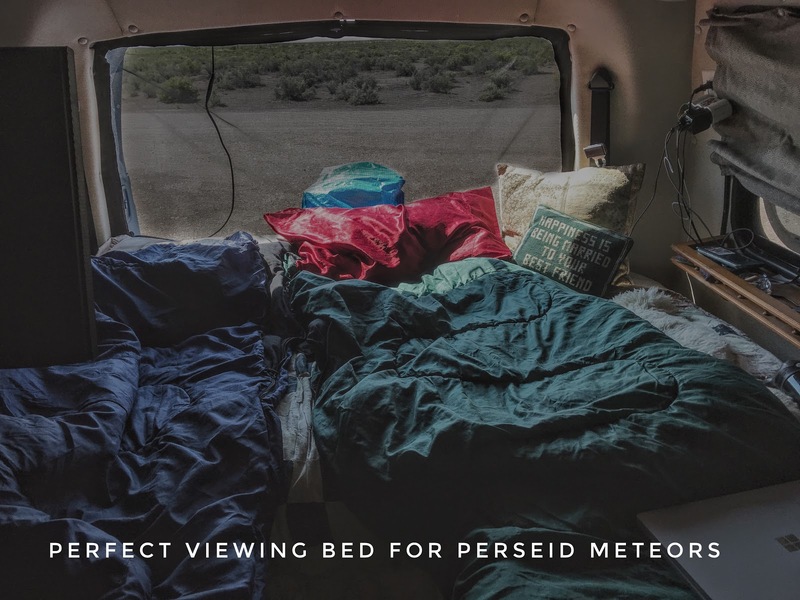 But first, we had the Perseid Meteor Shower. So, it was great that we were parked out in the desert! No lights, no people. All we had to do to watch the meteors was to open the back doors. That's right where our heads are when we sleep. So, if we just opened our eyes, we could look up at the cloudless sky and see stars shooting across the heavens. We are just the luckiest people on earth! You are living my dream! Colorado is on my bucket list. And thanks for sharing the quote about life - all so true!